About the Book: In A LAND OF FIRE (BOOK #12 IN THE SORCERER’S RING), Gwendolyn and her people find themselves surrounded on the Upper Isles, besieged by Romulus’ dragons and his million man army. All seems lost―when salvation comes from an unlikely source. Gwendolyn is determined to find her baby, lost at sea, and to lead her nation-in-exile to a new home. She travels across foreign and exotic seas, encountering unthinkable dangers, rebellion and starvation, as they sail for dream of a safe harbor. Thorgrin’s finally meets his mother in the Land of the Druids, and their meeting will change his life forever, make him stronger than he has ever been. With a new quest, he embarks, determined to rescue Gwendolyn, to find his baby, and to fulfill his destiny. In an epic battle of dragons and of men, Thor will be tested in every way; as he battles monsters and lays down his life for his brothers, he will dig deeper to become the great warrior he was meant to be. In the Southern Isles, Erec lies dying, and Alistair, accused of his murder, must do what she can to both save Erec and absolve herself of guilt. A civil war erupts in a power struggle for the throne, and Alistair finds herself caught in the middle, with her fate, and Erec’s, hanging in the balance. Romulus remains intent on destroying Gwendolyn, Thorgrin, and what remains of the Ring; but his moon cycle is coming to an end, and his power will be severely tested. Meanwhile, in the Northern province of the Empire, a new hero is rising: Darius, a 15 year old warrior, who is determined to break off the chains of slavery and rise up amongst his people. But the Northern Capitol is run by Volusia, a 18 year old girl, famed for her beauty―and famed also her barbaric cruelty. Will Gwen and her people survive? Will Guwayne be found? Will Romulus crush the Ring? Will Erec live? Will Thorgrin return in time? 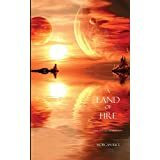 With its sophisticated world-building and characterization, A LAND OF FIRE is an epic tale of friends and lovers, of rivals and suitors, of knights and dragons, of intrigues and political machinations, of coming of age, of broken hearts, of deception, ambition and betrayal. It is a tale of honor and courage, of fate and destiny, of sorcery. It is a fantasy that brings us into a world we will never forget, and which will appeal to all ages and genders. My Review: In this episode Morgan continues this superb story. 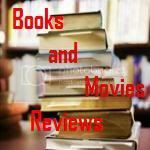 Thor meets his mother in the Land of the Druids, and learns about his destiny. Now he needs to return to his land in order to rescue Gwendolyn and his son. Reece is trying to survive in the Upper Isles, now reunited with his sister and they are struggling in the battle against Romulus' dragons. Erec and Alistair face a civil war in the South Islands, after he is badly hurt and she is accused of trying to murder him. Two new characters are added to the plot, making the story even more interesting. Darius is a young slave in the Empire that is not happy about the conditions of his people. He has magic powers that he does not understand and that his people condemn. Volusia is a young girl, ruler of Volusia after killing her own mother. That tells a lot about her cruelty. Packed with action, this book will keep you entertained for hours. And there is not an idle moment until you turn the last page! Get ready for another very entertaining episode of this incredible saga. You will not get tired of following Thor, Gwendolyn and all our heroes in this new episode. Just be aware that in order to savor every moment of this episode, I recommend that you start reading from the first episode to better understand the dynamics among the characters, as well as have a full idea on the environment of the story. Do you know when it be traduce to spanish?